When Dr. Nicholas Damato began his Chiropractic practice in Glastonbury 5 years ago, he was passionate about establishing his practice in the town he was raised and would consider no other location to work and to raise his family. Our hard work, community involvement and the many dedicated patients and friends we’ve made along the way, is evidence that it was and continues to be the right choice. We could not be more grateful to you and to our town. For the past 5 years, there has been no confusion on who “Damato Chiropractic Center of Glastonbury” was…until now. The journey continues with a new twist. Dr. Nick Damato was recently made aware that his brother has decided to open a chiropractic office in Glastonbury – and we would like to clear up any potential confusion. While the newcomer may bear a very similar name, the original “Damato Chiropractic Center of Glastonbury” is not affiliated with this other office in any way. 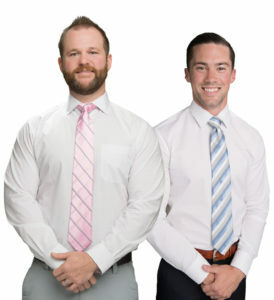 We are confident that our unwavering integrity, sincere concern for your health, and the excellent care that we provide is what will continue to set Dr. Nick Damato and Dr. Bobby Abate apart as the ‘go-to’ Chiropractors in the Glastonbury area. We’re here, as always, to answer any questions you may have. Thank you again, for trusting Dr. Nick Damato and Dr. Bobby Abate with your families healthcare and for making us the Chiropractor of choice in Glastonbury. We’re looking forward to serving our community for many years to come.